We now offer free shipping to the contiguous USA with code FREESHIP. Thanks! 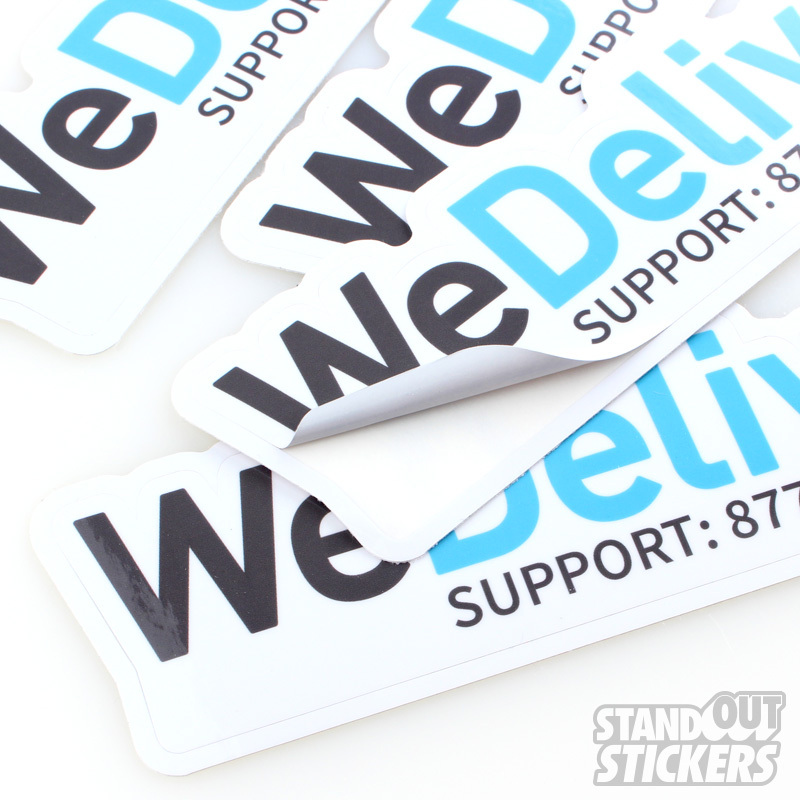 We now offer a matte finish on our stickers in addition to our original gloss. Thanks! Just got in my die cut Pugner stickers. Awesome quality, quick service and great packageing .. Thanks! Glad you’re happy with your order, thanks for choosing StandOut Stickers! The clown nose stickers were great and the turn around was great as well. It would be nice for them to be easier to peel off. I have ordered two die cut stickers from SOS and love the products, process, and price! I will definitely recommend SOS to anyone looking for a vinyl sticker.